At the regularly scheduled Dundee Club match for July 2009, Match Director and Club President Paul Meiers announced that the planned "Crocodile Dundee Banzaii Ballistic (You Got Bullets?)" high-round-count match would not take place in September of 2009. "It takes three or four thousand dollars to put on this match" Meier said at the July 25 club-match shooter's meeting. Because there are only a few weeks until the scheduled Labor Day match, Meier said "We are not a big club. We need the match fees to put on this match. We only have 20 shooters signed up so far, and only four of them are local shooters." 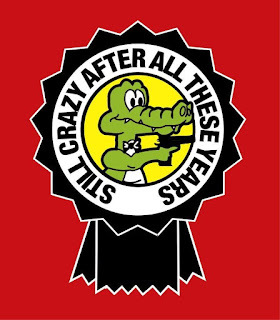 I’m sorry to have to announce I have canceled the 2009 Crazy Croc match. At this time we do not have enough applications to make the match run. We’ve been trying for the past 3 months to bring in applications but this year they just aren’t flowing. I know the primer shortage is one problem for several shooters, there are several big matches in this area this year and Nationals is the following week so many shooters are having to pick their matches. Also looking around at other matches, 2 day matches are having problems. The cost of travel is just too high for many shooters this year. I know this is going to put some shooters in a bind but I just can’t run a match on a deficit. I don’t have those trillions to play with. We plan to be back next year reloaded and ready to go. Those who have sent in applications I will shred them and put into the burn pile. I hope to see everyone next year. For contact information, go to the "Team Croc" website here. The Senate narrowly defeated today a measure which would have allowed a person with a Concealed Carry Permit in one state to exercise that right in any state of the union. Note that this measure wouldn't have given any protections to criminals ... it would only have de-criminalized concealed carry for honest citizens outside their home state. An amendment that would have allowed gun owners to carry their weapons across state lines fell just short of passage Wednesday in a vote that revealed deep divisions among the Senate's Democrats. Supporters included all but two Republicans and 20 Democrats, but the vote of 58 to 39 in favor fell two short of the 60 needed to defeat a filibuster. Offered as an amendment to the annual defense authorization bill, the legislation would have allowed people to carry concealed firearms across state lines, provided they "have a valid permit or if, under their state of residence" they "are entitled to do so." It was considered one of the most far-reaching federal efforts ever proposed to expand gun-permitting laws. "This carefully tailored amendment will ensure that a state's border is not a limit to an individual's fundamental right and will allow law-abiding individuals to travel without complication throughout the 48 states that already permit some form of conceal and carry," Thune said during Wednesday's sometimes contentious debate. The NRA, in urging a yes vote, called the amendment "important and timely pro-gun reform." I have never been particularly fond of Wayne LaPierre, but in a PMSNBC interview he stood up to an obviously antagonistic Talking Head and provided a perspective which is usually missing from Main-Stream Media reports. Given that the Senate vote was only two votes short of a filibuster-proof decision, I believe that LaPierre is justified in considering this vote a "win", if only as a means of measuring senatorial support which ... just wasn't quite enough to carry the day. My home state of Oregon is loath to extend Reciprocal Right To Carry to residents of other states, perhaps in part because Oregon has requirements which are more strict than, say, it's neighboring state of Washington. (This is not necessarily true ... but that's the story we hear from the Governor and other "Blue-State" public officials. And they're sticking to it.) More likely because they're frightened by the idea of people carrying guns, and while by federal law they cannot prevent their own citizens from "Shall Issue" right to carry firearms, they're not about to let some stranger from another state carry here. I suspect this is the same parochial mind-set which infected the senators from the other states who voted against this bill. No, it doesn't speak well for the Senators from Oregon .. or the other stages who voted against the bill. We didn't win this one, but we looked good on video. Maybe the next time, or the time after that ...? Funny thing about congressional voting. Usually 'we' are on the defensive, but this time the shoe is on the other foot. We only have to win one time. 'They', on the other hand, must win every vote. If they lose just one .. hey, it's a whole new ballgame. This position feels much more comfortable than the "usual" position we are forced into. No wonder LaPierre seems so relaxed in his interview. I just got off the phone with my Credit Card provider. My credit card has been canceled. I didn't know about this when I phoned them ... apparently it was just a matter of fortunate timing that I went online tonight to check my account balance and last statement, and I was nonplussed when I couldn't sign onto my online account. Actually, that's not entirely true. Earlier tonight I had successfully signed on to the website of the supporting lending institution, but that didn't give me access to my credit card account. Then I attempted to sign onto the URL specifically for credit card information, and it wouldn't accept my logon/password and clicked on "PLEASE ANSWER THE FOLLOWING SECURITY QUESTIONS". Which I did, with responses which were appropriate and accurate. The website would not accept the logonid and password which it had accepted only minutes before. That left me with no choice but to read the 24-hour help hotline phone number on the back of my credit card. Note: this number is in teeny tiny font, and if your eyesight is no better than mine I recommend that you get a magnifying glass and read it now, and write it in bigger font size where you won't lose it. Eventually I was privileged to speak to a Customer Service Representative (CSR), a charming lady from India who speaks very very fast. I'm sure you've spoken to her before, or a close relative of hers, when accessing Customer Service facilities for other on-line services. I know I have, and it has always been difficult to understand them. When I asked her to slow down and enunciate carefully, the conversation was extended several more minutes. But I did understand every word she said. This is when I learned that my account had been locked. Cancelled. Disconnected. Frozen. Sent to Coventry. On the phone, I was required to answer a LOT of "Security Questions", including my current phone number. (They had my OLD phone number, from 3 years ago, which explains why they were unable to contact me before locking the account. Curiously, I had checked my phone number just before they locked me out, and it was correct. Go figure.) They also confirmed my billing address, receipt of hard-copy bills (not happening, will now be corrected), SSN, card number, security code, etc. The story was that "several accounts have been locked" because they had received charges from payees which were suspected of hacking. Or, to put it more plainly, ID Theft. The first thing they did was to lock my account. No, I don't recognize that charge. No, that's not familiar either. Okay, yeah. I downloaded an MP3 album from Amazon earlier this month. That one's mine. Having established that the hatchet-job occurred yesterday (July 22), they asked me to destroy my old credit card and assured me that the bogus charges would be deleted from my bill. In the meantime, they will be sending me a new credit card, with a new account number, and when I received it I should notify my legitimate online accounts. Since my card was set to expire almost immediately, I asked about the expiration date. When the 'new old card' expires, they'll send me another new card, with another new account number and a longer expiration date. That's going to be fun, too. I think I'll just not be buying anything soon if I have to pay by credit card. There are probably several lessons to be learned from this experience. Finally, and this is a personal situation, if your online purchase is denied by your credit card provide, this should be a big red warning light. It was for me, and I quit ordering from that 'questionable' vendor. But it still caught me by surprise, because they waited for a month and a week before they sold my credit card. By the way, it's indicative of something-or-other that the first charge was for $1.01, and the second was for $8.08. The bad guys obviously started small, probably on the premise that if I saw the charges I would ignore them because it wasn't very expensive ... yet. There's not doubt in my mind that they charges would have been very big, very soon, once they became comfortable with the assurance that I wasn't going to report them to my credit card provider. I suspect that's what broke their back. They probably hurt a lot of credit card holders very bad, and were reported by their victims. That certainly saved me, because my credit card provider was alert and pro-active. Right now, I don't mind a bit that my credit card account was frozen. I suffered nothing more than a minor inconvenience. Oh, and if YOU get a call from your credit card provider informing you that your card has been locked, and asking you to verify your Security Information ... don't do it. Instead, hang up and then call the number (in teensy tiny print) on back of your credit card. At least you will know who you're talking to. Check your six, speaking financially. Call me racist, call me a Political Radical of "The Opposite Party" ... but then, I repeat myself. At least, these two terms are the interchangeable according to New York Times and the Queen of the NYT columnists, Maureen Dowd (when speaking of Conservatives). Okay, that's what they are ... what am I? From the American Spectator, here is a 3-page satirical opinion column on the hypocritical racist attitudes and practices & unspoken policies of Mo and the NYT. You may not find it as funny as I did. Yes, there's a new Viral Video in town, and it's called "Dancing Babies". For those of us who remember "Chackaboom Babies", this is Version 2.0 in the genre. This is not relevant to any subject you might expect at this blog, but personally I find the concept ... charming. Enjoy. This is definitely one of the "Things I Like". For those of you poor, benighted creatures who don't already subscribe to The Shooting Wire (click here to subscribe to the thrice-weekly newsletter), you don't enjoy the pleasure of reading Jim Shepherd's excellent Feature columns. I feel it is my not-so-reluctant duty, from time to time, to acquaint you with a few of the excellent items the redoubtable Mr. Shepherd provides. Today he wrote about a gun-related product which I had never before contemplated. It was such a profound revelation to me that I felt obliged to share it with you. The "Ballistic Containment System" from Safe Direction LLC. allows the shooting individual to safely unload, reload, clear or otherwise handle a firearm without fear of an "Accidental Discharge" causing injury or damage in any environment. As nearly as I can discern, this is a patch of Ballistic Nylon plied with some other non-specific materials designed to trap a bullet ... in the Pistol version, up to .45acp. This 'patch' can be included in several configurations, including in a range bag, so that the gun-bearing individual may safely unload and, in the unlikely event of an "Accidental Discharge", the bullet will be trapped in the material. Note that the instructions for the "Academy Pad" (shown above, available for $165 .. free shipping!) include the reminder that the barrel of the pistol must be placed on top of the logo, while applying 'gentle pressure'. I've never seen one of these accessories, I have no idea how well they work, but it seems to me that they might have some special utility on a USPSA range. One of the problems with USPSA competition (and probably IPSC competition as well, if there are any other regions in IPSC which allow Concealed Carry) is that one who 'carries' must divest oneself of a loaded weapon before entering the host range. USPSA/IPSC ranges are traditionally "Cold Ranges", meaning that the carrying of a loaded firearms on the range is strictly forbidden. I know, that sounds odd considering the nature of the sport, but remembering that safety is the number one priority, it is not an unreasonable consideration. 2.5.1 If it is possible that some competitors arriving at a range where a USPSA match is being held may be in possession of a loaded firearm on their person (e.g. law enforcement officers, persons duly authorized to carry a loaded firearm, etc. ), match organizers should provide an Unloading/Loading Station to enable such competitors to safely unload their firearms prior to entering the range, and to safely load their firearms again on departure from the range. The Unloading/Loading Station should be conveniently located outside the entrance to the range (or outside the portion of the range allocated to the USPSA match), it should be clearly sign-marked and it must include a suitable impact zone. 2.5.2 Where no Unloading/Loading station is provided, a competitor who arrives at a match in possession of a loaded firearm and proceeds immediately to a match official for the express purpose of safely unloading the firearm shall not be subject to disqualification per the provisions of Rule 10.5.13. 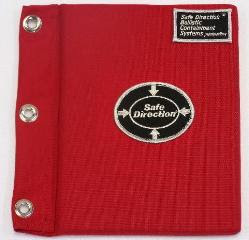 Rather than have a water-filled or sand-filled barrel to expedite safe unloading, it may be possible to use one of these "Safe Direction" pads at the Unloading/Reloading stations. Here's something that we will really like. The Columbia Cascade Section (Area 1) of USPSA held their Sectional Tournament last weekend. SWMBO and I were there for a couple of hours to see our friends off-range, and to watch them shoot on-range. Here's a vignette of the action. Bay 11 hosted two stages: first, "Smokin 2" which featured the Texas Star (with only 4 plates, to allow for maximum rounds per position and also made the Star target array ... which made it much easier to set up for the next shooter); and "A Little Fuzzy". This last stage requires some explanation. The orange "Snow Fence" soft-cover played heck with Open Shooters. When your sighting deice is a red dot, it tends to get lost in the haze. The only way to overcome this limitation is to turn your red-dot sight all the way up, to maximum intensity. The two stages were intended to be engaged "Back to Back", so after completing 'Smokin 2' Jan turned off her electronic sight. Much to her embarrassment, instead of waiting for the previous shooter to reshoot she was cycled as the next shooter. She had bagged her pistol, after turning off the dot-sight. When she was ushered up to the firing line instead of the reshoot, she forgot to turn on her sight,. This may not have been a problem except for the unusual circumstances. She recovered quickly and expediently, turned the c-more sight rheostat up to Maximum Gain (eventually), and look good on video. Her husband, Mark, didn't face such embarrassing limitations. He beat her on the stage, but if Jan hadn't been distracted, he may have taken 2nd best within their competitive Division. By the way,it's worth noting here that the stage designs were of a quality which surpasses the run-of-the-mill "Club Match" stage designs. I understand that it's difficult for one man to conjure up Stage Designs for monthly matches AND create even more challenging stages for a Major Match. But Match Director Mac M. met and exceeded all expectations. Thanks for a very good match, Mac, and those Happy Few who also provided stage designs for this Sectional Match. Match Results may be found here. There is a dichotomy in my blogger-self which, every night, prevents me from writing anything at all. I have things to say about USPSA competition, and I want to write about them. I also have things to say about the Political climate in the 2009 America, and I write about them too. While I think I ought to write about USPSA, and other shooting interests, I am so taken by the outre' events we witness today that I convince myself that writing about the things I like may be less 'important' than the things I don't like. Tonite I'm going to break the deadlock. Here, I'll write "Don't Like". Then I'll edit some videos and write about the things I "Do Like". That should resolve the quandry, and the Top Story will appear first in the column. I don't like National Public Radio -- NPR. Why? Because they're a bunch of extreme liberal patsies who tout the most extreme messages, and unthinkingly assume it's Mainstream Thought because Hey, We're Liberal! They think that because they and their friends agree, it's The American Way. The weirdly persistent belief held by many Americans that President Barack Obama is not a natural-born citizen of the United States has been back in the news lately thanks to Major Stefan Cook, the "birther" soldier who was granted conscientious objector status because he refused to fight for a president he believes is illegitimate. There's also a bill gathering some support in the House that would change election law to require candidates to prove their citizenship. The birther phenomenon is predictable form of paranoia given the president's unusually exotic (for a president, anyway) background. But isn't the larger scandal that the anachronistic natural-born citizenship requirement in Article II of the constitution still even exists? "Weirdly Persistant" (sub-normal and fanatic); "birther" -- cultists; exhibiting a "predictable form of paranoia" mental deranged, incapable of original mentation; and "anachronistic" living in the past ... out of pace with 'modern thought'. Without parsing every loaded phrase, let's look at the concepts presented in the rest of the article. Let's imagine that Barack Obama had been born in Indonesia or Kenya or anywhere else for that matter, and hadn't become a citizen until moving to Hawaii to live with his grandparents. Is there one good reason why that would make him less fit to be president? Let's imagine that Osama moved to Miami and was naturalized. Would that make him fit to be president? Put another way, is there one good reason why foreign-born governors Arnold Schwarzenegger and Jennifer Granholm can't legally run for president but Mark Sanford and Sarah Palin can? Well, it's in the Constitution. But you don't care much about that, do you? Naturalized citizens like Henry Kissinger, Zbigniew Brzezinski, and Madeline Albright have been allowed into the highest positions in the U.S. national security establishment without anyone questioning their loyalty. Why shouldn't voters be allowed to decide whether a foreign-born candidate is American enough to be president? New York voters didn't mind the fact that Hillary Clinton had never lived in the state before running for its senate seat. We're still wondering how Kissinger, Brzezinski and Albright reached such high public offices. The simple answer is that they were never elected; and the reasons they were not elected is because they knew that they were un-electable. They are a bunch of maroons. Not "morons" ... no question that they were bright. They were just ... un-electable. But isn't the larger scandal that the anachronistic natural-born citizenship requirement in Article II of the constitution still even exists? If you don't like the constitution, then change it. There are procedures embedded in the Constitution which allow the American People to change it. It's called "Amendments". We have instituted quite a few of them; some we have attempted to implement (such as the Equal Rights Amendment) have been rejected because the constituent states have refused to ratify it. Why has nobody attempted to amend this constitutional requirement? My best guess is, the citizens of this country do not want to change it.